Other pages available: 2013 to 2011 | 2010 | 2009 | 2008 to 2005. I've finally got around to creating a modern original website with a blog. Now I can share my thoughts and rants with the world and the world can respond! CPU - added 92 instructions. Added a virtual keyboard (vkeyb). Renamed the timer to Programmable Interval Timer. Added a Programmable Interrupt Controller to manage external interrupts. Fixed the video refresh timer @ 20ms (50Hz). It's now possible to specify a program to emulate via the command line. 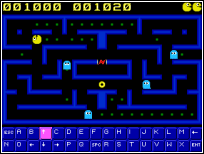 A simple DOS VGA freeware Pac-Man game (included and shown here) can be emulated. Updated the build system only. I've been unable to work on any of my projects since January 2007 (my development system requires reassembling) but I intend to get back into the swing of things very soon. I did manage to get an old DOS VGA game emulated perfectly with working virtual keyboard (see image below) but I didn't get a chance to package and upload it. I can report though that it's very fast on the Sharp Zaurus SL-5500 so things are looking very good indeed. CPU - added 53 instructions. RAM read/writes can be dumped to the terminal. CPU - added 46 instructions. CPU - added 39 instructions. An initial memory block header structure is set-up in the DOS memory array. A COM file can be loaded into 'memory'. Now showing full path to current ROM above games list to aid identification. Added a 'not equal' comparison option to the unknown value Trainer search method. 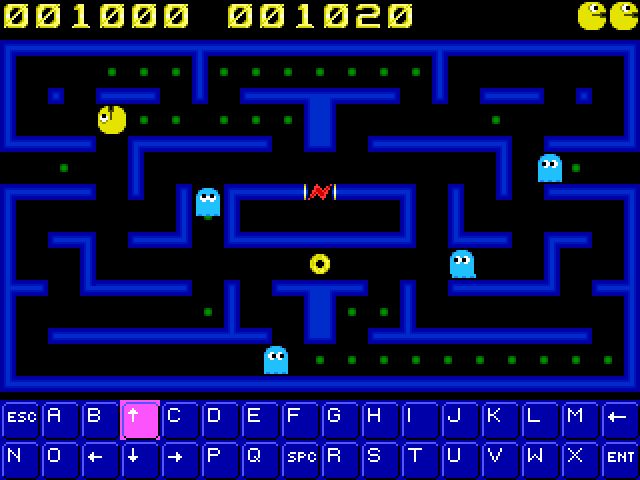 Shuffled pipes and preview pieces are reinitialised for each game. Created a Zaurus ARM binary tarball in addition to the ipk. Updated the tools for building the Zaurus version. Removed -Dmain=SDL_main from the Linux makefile. There were some corrupt files on this site so I have uploaded fresh copies. Added a save state Trainer for creating cheats for gba, gbc and gb. Added an option to RbVBArc for specifying a folder to accommodate the individual cheat files. Listboxes now sort properly matching the user's selection. Currently selected game now displayed in window title bar. 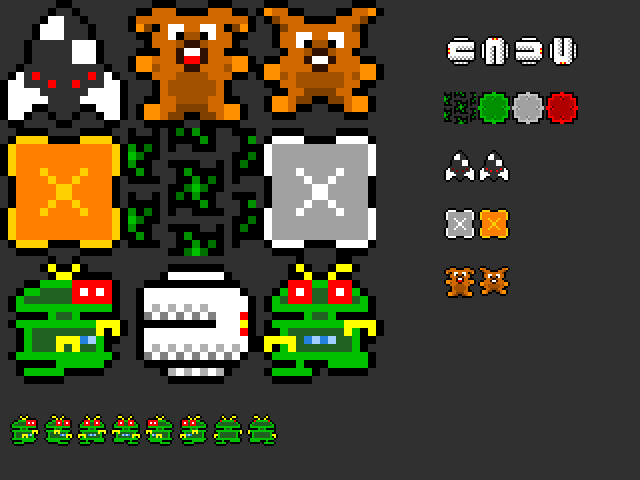 Added support for .gz (also .z) and .zip ROMs. It's now possible to select the QJoyPad "[NO LAYOUT]" layout. Added an option to the desktop file to disable magnification on C Series Zaurii. This does not affect the operation of the SL-XX00 models. Added an enhancement ipk by Greg2 . This ipk creates an additional desktop file that starts GNU Robbo in 320x240 landscape mode for Zaurus SL-5X00 models. 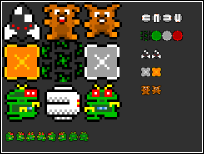 35 new levels added, new wall graphics, game area resizing for Zaurus VGA models. The game now works on the Zaurus C Series. The game is now a complete conversion, although I still want to add stylus support in the near future.